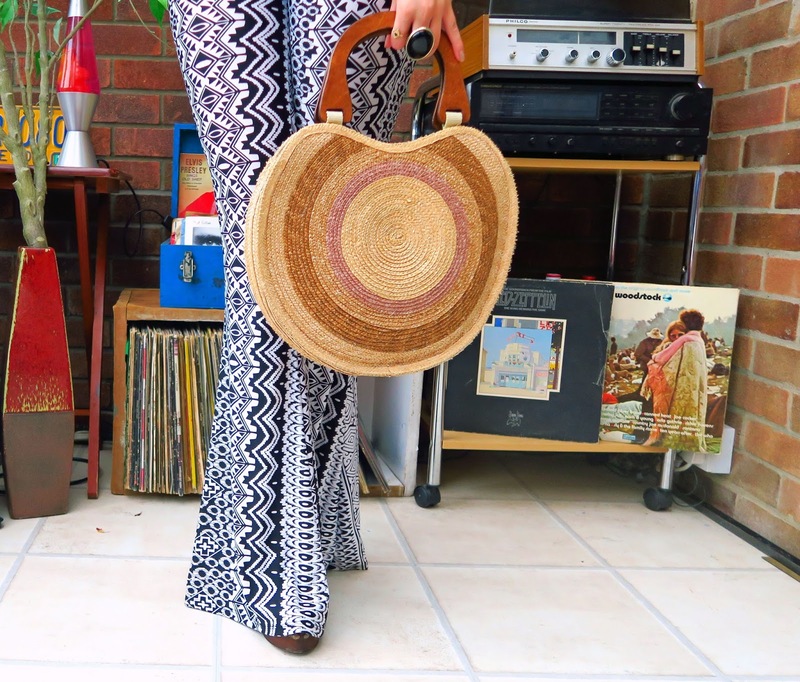 I love bell bottom trousers, they are such a flattering style for all body types. Somehow they can add shape, enhance curves, and make you appear taller and thinner all at once. I don't think there is a body shape bell bottoms don't look good on. You don't have to opt for a patterned pair like me, solid colours may be more wearable for day to day, and will still give you that lovely shape. I know not everyone wants to feel like an Abba tribute band! But for those of you that do, you are my dancing queens. I recently picked up this pair on Depop and they are giving me all of the 70s. vibes. If you saw my previous style post 'Almost famous' you will have seen that I am drawing a lot of inspiration from the 70's at the moment. Again, wearing this gorgeous white lace kimono which is a firm favourite of mine this year. Not only does it flow behind me in the breeze, which kind of makes me feel like I am getting married, but it always seems to bring everything together so nicely. For my accessories I have kept it quite simple with this beautiful 70s vintage bag, my favourite Daniel Footwear fringed leather clogs,* a black choker and oversized sunnies. An easy to wear, comfortable (!) casual summer look. Don't forget to follow me on Instagram @hayley_eszti for more style inspiration, fun and frolicks. As we are now entering July I want to know what are you most looking forward to this month?